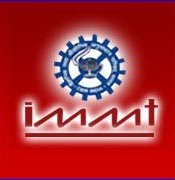 IMMT Institute of Minerals & Materials Technology | Scientist Vacancy | Government Jobs 2010 | December 2010 | Last Date: 4 January, 2011. 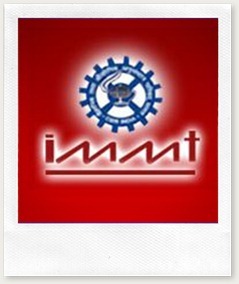 BE/ BTECH (Chemical, Metallurgical, Material) required in Institute of Minerals & Materials Technology (IMMT), Bhubaneswar. Institute of Minerals & Materials Technology, (IMMT), Bhubaneswar, a national Institute under the aegis of Council of Scientific & Industrial Research, (CSIR), New Delhi, is involved in research and developmental work on the utilization of natural resources with emphasis on mineral processing and development of materials. The Institute has well-built infrastructural facilities and expertise available in various fields of specialization. A number of national projects in the fields of mineral processing, biotechnology, extractive metallurgy, advanced materials, instrumentation, design & rural engineering, energy utilization, waste and environment management have been taken up. IMMT is looking for energetic and enthusiastic scientists having aptitude, imagination, innovation and interested to take up challenging tasks. Education: 1st class B.E./ B.Tech. (Chemical Engg.) with Ph.D. in Chemical Engg. Posted in Chemical, Government Job, Job After Btech, Jobs after ME/ MTECH, Material Science, ME, Metallurgical, Mtech, With experience. Tags: 2011., December 2010, Government Jobs 2010, IMMT, Institute of Minerals & Materials Technology, Last Date: 4 January, Scientist Vacancy on December 10, 2010 by kavita joshi. BHEL Bharat Heavy Electricals Limited | Government Jobs 2010 | Engineers/ Manager Recruitment | November 2010 | Last Date: 4 December, 2010. BE/ BTECH (Mechanical, Electrical, Control & Instrumentation, Electronics) required in Bharat Heavy Electricals Limited (BHEL). The greatest strength of BHEL is its highly skilled and committed 42,600 employees. Every employee is given an equal opportunity to develop himself and grow in his career. Continuous training and retraining, career planning, a positive work culture and participative style of management all these have engendered development of a committed and motivated workforce setting new benchmarks in terms of productivity, quality and responsiveness. Posted in Control, Control and Instrumentation, Electrical, Electronics and Communication, Electronics and Instrumentation, Electronics and Telecommunication, Government Job, Instrumentation, Job After Btech, Mechanical, With experience. Tags: 2010, Bharat Heavy Electricals Limited, BHEL, engineers, Government Jobs 2010, Last Date: 4 December, manager, November 2010, recruitment on November 11, 2010 by kavita joshi. CBI Central Bank of India | 1163 Clerical Cadre Vacancy | Government Jobs 2010 | November 2010 | Apply Online Upto: 8 December, 2010. BE/ BTECH (Any Discipline) required in Central Bank of India (CBI). A pass with 50% marks in HSC examination of 10+2 (10+2+3 pattern) /11th Std. of (11+1+3) pattern or Intermediate/Pre-University or any equivalent examination/Diploma in Banking recognized by Central/State Government or U.T. administration. A pass with 60% marks in the aggregate in Matriculation/SSC (old pattern)/SSLC/10th std. Examination of 10+2+3 pattern or equivalent. Posted in Apply online, Bank job, Ceramic engineering, Chemical, Civil, Computer Science, Construction Engineers, Control, Control and Instrumentation, Freshers, Government Job, Industrial, Instrumentation, IT, Job After Btech, Without Experience. Tags: 1163 Clerical Cadre, 2010, Apply Online Upto: 8 December, CBI, Central Bank of India, Government Jobs 2010, November 2010, vacancy on November 11, 2010 by kavita joshi. 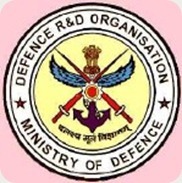 BE/ BTECH/ ME/ MTECH (Mechanical, Electrical and Electronics, Electronics and Communications, Computer Science, Electrical) required in Defence Research & Development Organisation (DRDO), Chennai. Educational Qualification: 1st class BE/ BTECH (Mechanical, Electrical and Electronics, Electronics and Communications, Computer Science, Electrical) / ME/ MTECH (Electrical, Mechanical). Posted in Computer Science, Electrical, Electrical and Electronics, Electronics and Communication, Government Job, Job After Btech, Jobs after ME/ MTECH, ME, Mechanical, Mtech, Walkins. Tags: 2010, BE, btech, Defence Research & Development Organisation, DRDO, Government Jobs 2010, JRF/ SRF Jobs, Last Date: 20 November, MTECH Requirement, November 2010, Walk-ins on November 6, 2010 by kavita joshi.